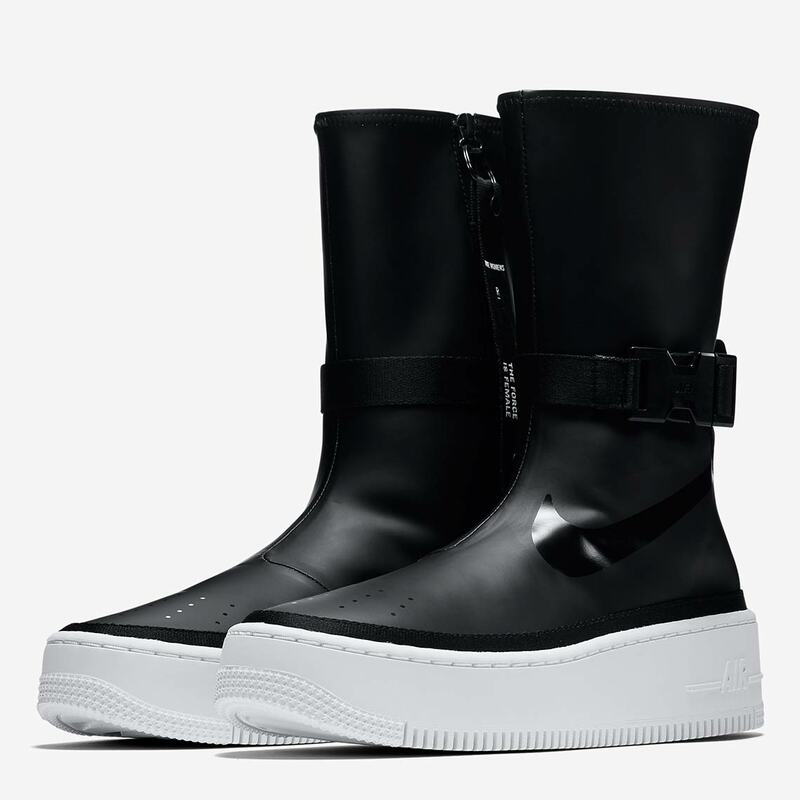 The Air Force 1 Sage is unquestionably one of the most popular silhouettes from the extensive slate of women’s-only alternate takes on Air Jordan 1s and Air Force 1s that have dropped in 2018. 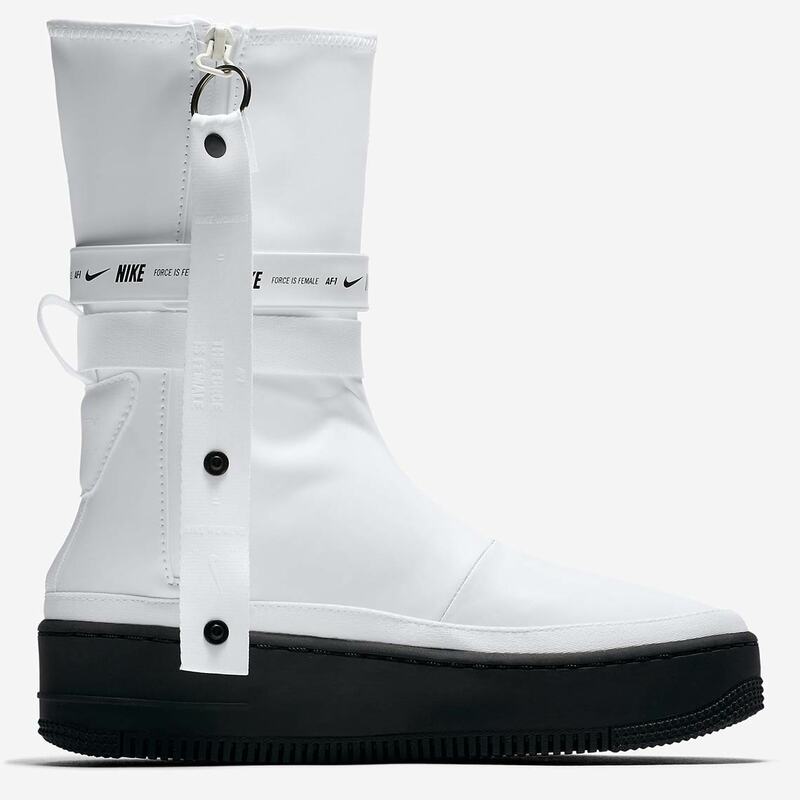 Now, the Swoosh Brand is continuing their “Sage” stylings with yet another bold new take on the classic AF1 silhouette: a striking calf-high boot. 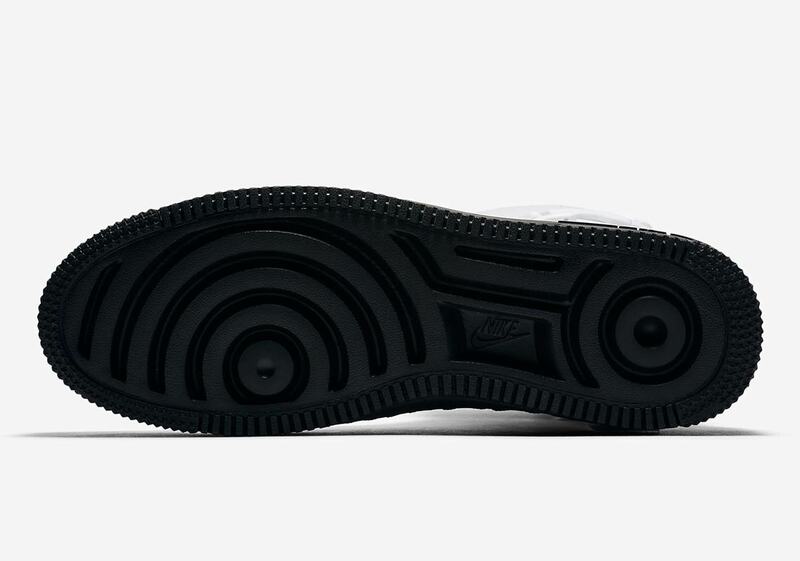 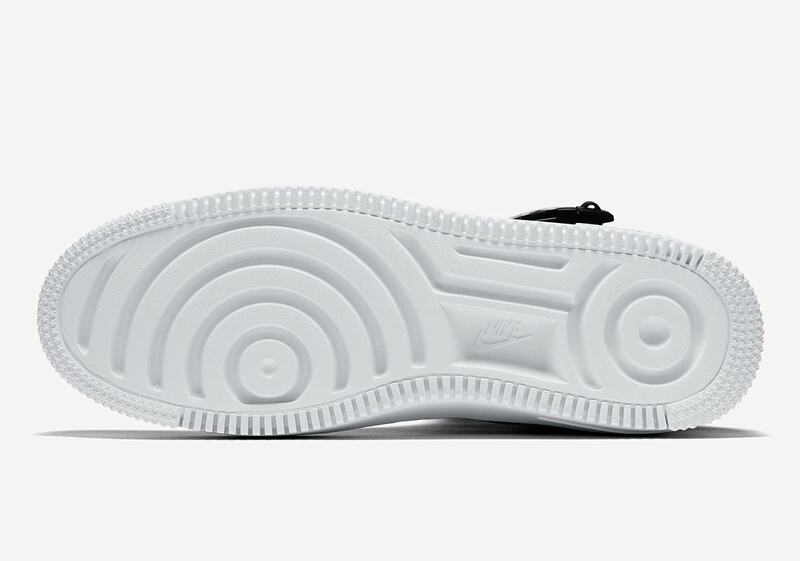 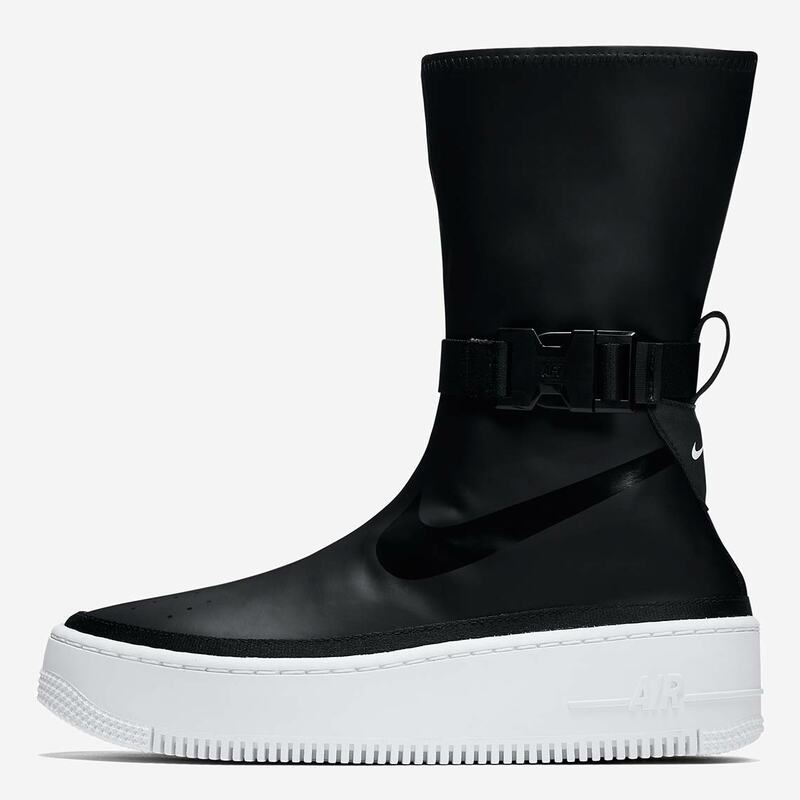 Arriving in a black/white with tonal swoosh detailing and a swooshless white/black, both colorways feature a synthetic leather upper that climbs all the way up to the wearer’s calf, while a wedge midsole lends even further to the silhouette’s great heights. 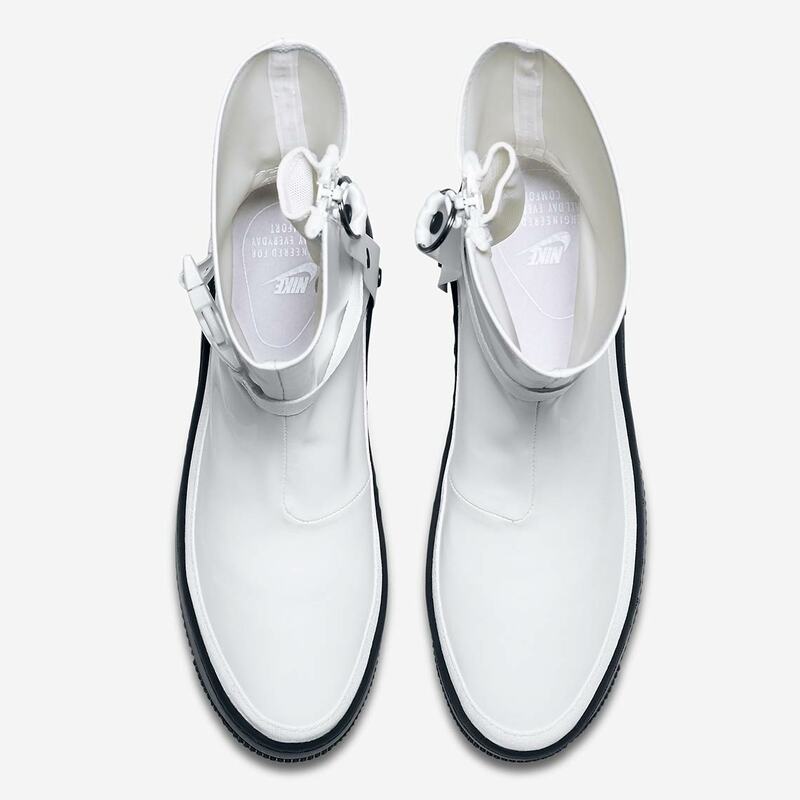 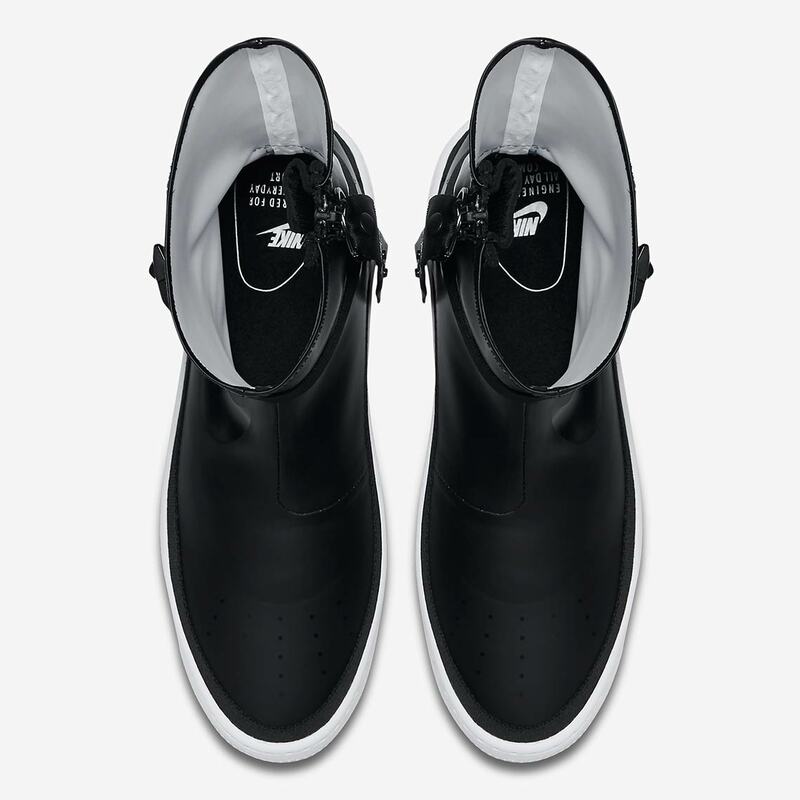 Laces are nowhere to be found, replaced instead by a zipper on the medial side — and the shoe features three removable straps so the wearer can customize these unique Nike shoes to their liking, no matter if they prefer a sleek or a technical look. 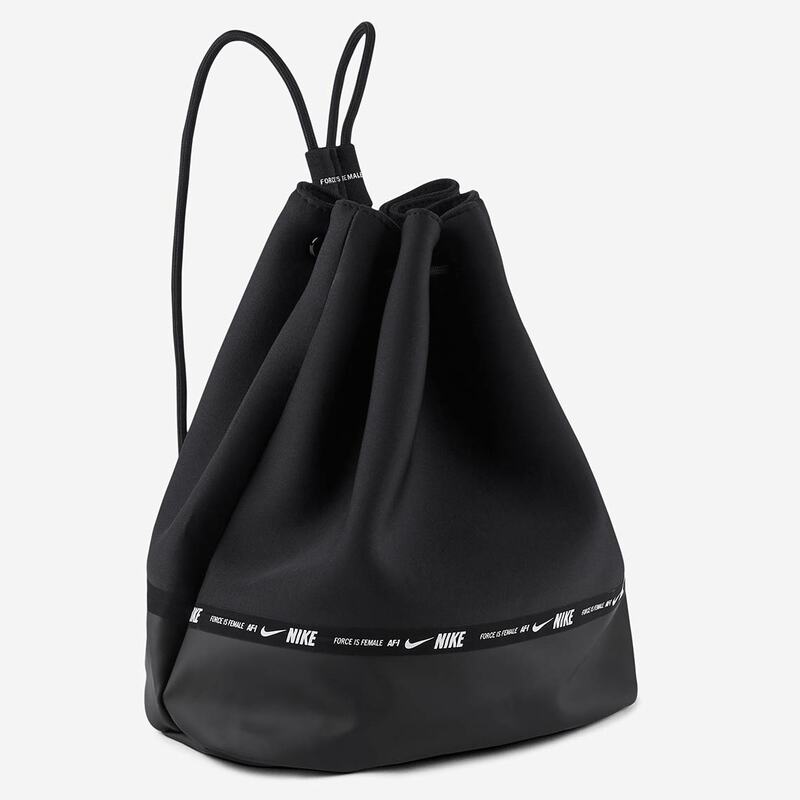 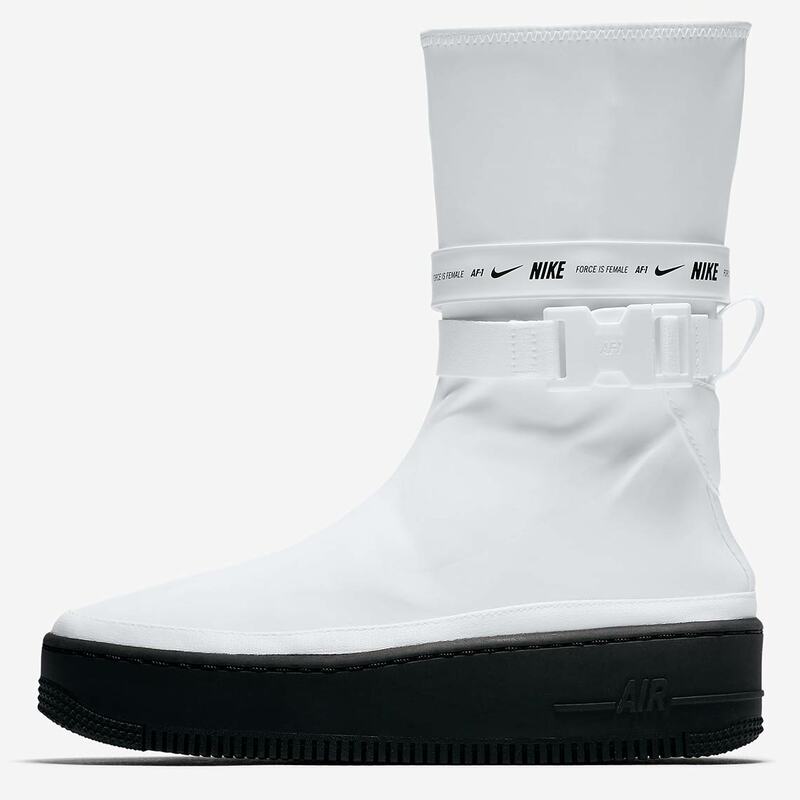 For a finishing touch, each pair also comes with a dustbag for storage. 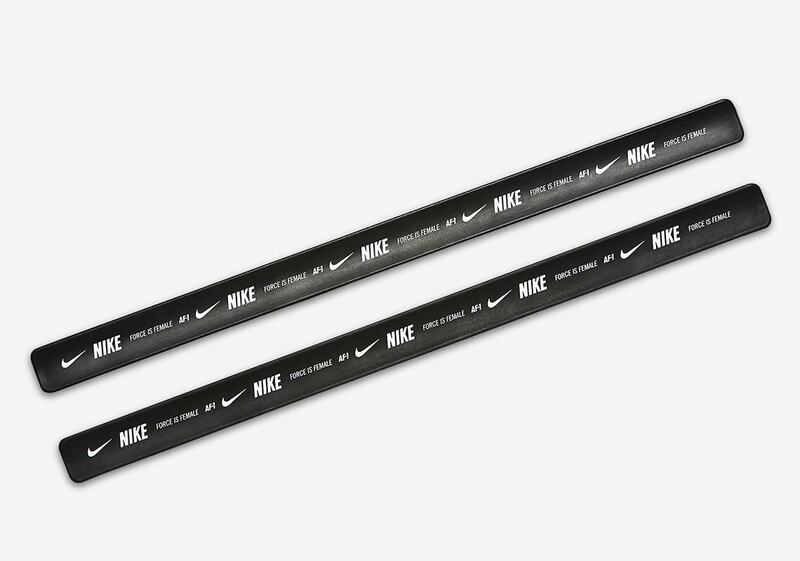 Check out a full set of images for each below, and expect a drop November 29th on Nike SNKRS, with a retail price of $180 USD. 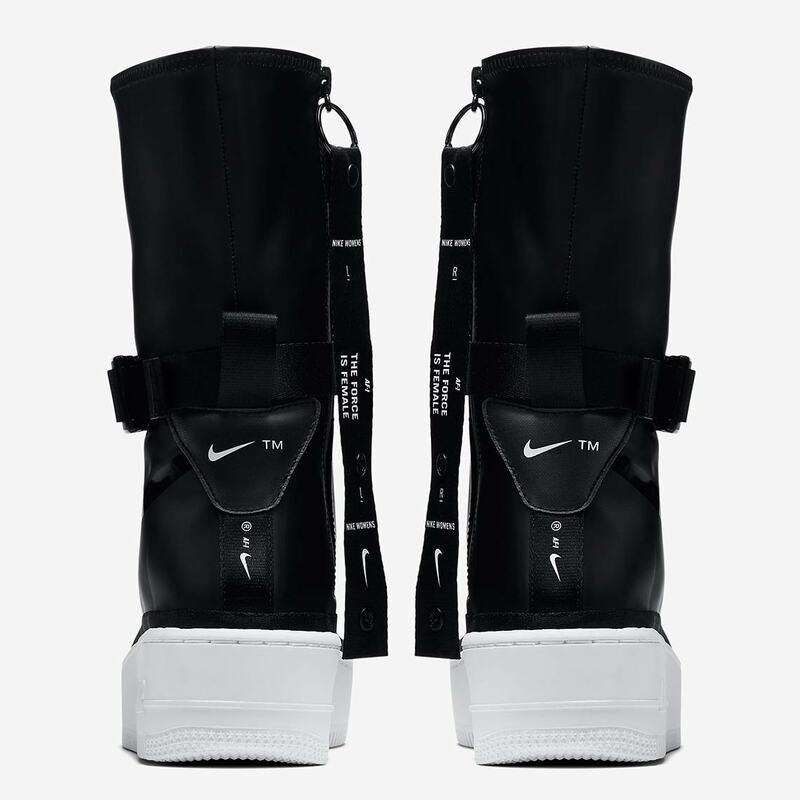 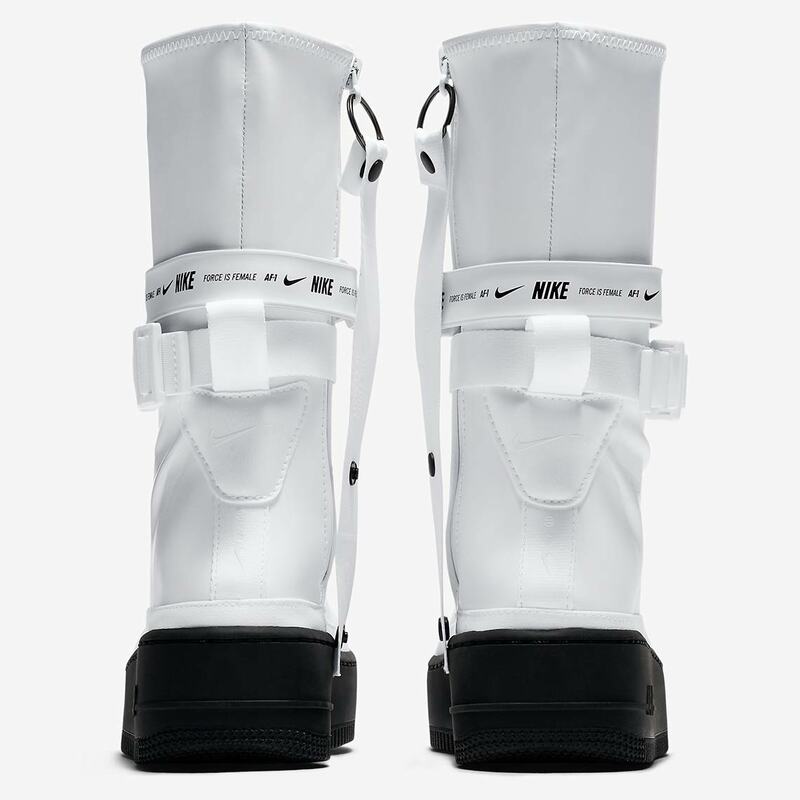 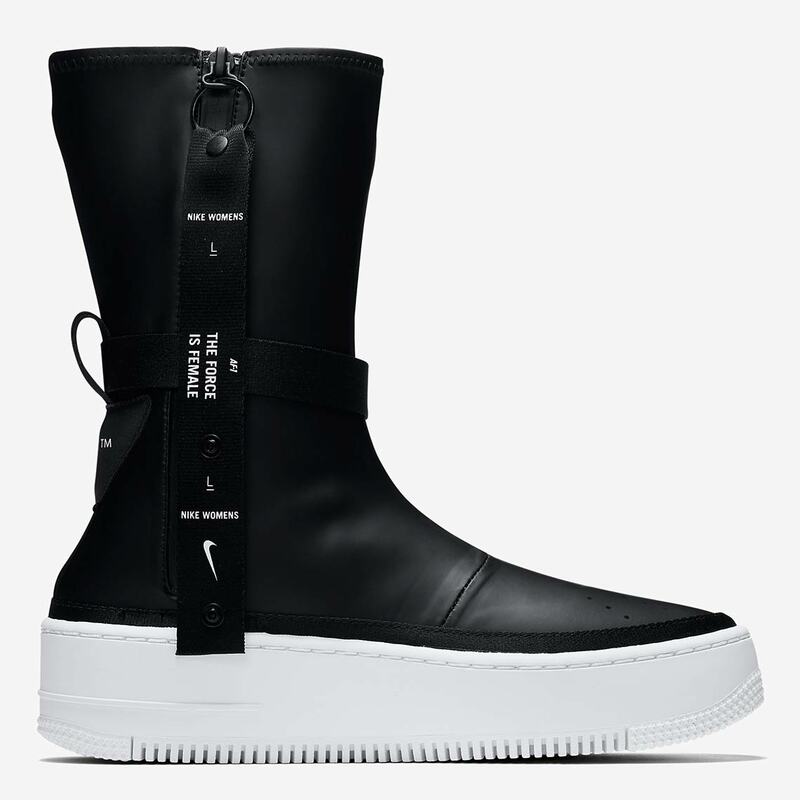 The post Nike Reimagines The Air Force 1 Sage High Into A Calf-High Boot appeared first on Sneaker News.